Colder biomes, meaning snow is all around! New items and recipes for delicious Christmas-time treats! A Christmas Tree Stand on which to grow your very own Christmas tree! The ability to wrap up nearly any item as a Christmas present, and give it as an item or place it like a block! A new semi-rare friendly mob, the Creeper Claus! Santa’s helpers, the Ender Elves, are here to deliver presents! Perhaps even a visit from Santa himself?? You can wrap up enchanted and renamed items as presents! Three all-new holiday music discs! 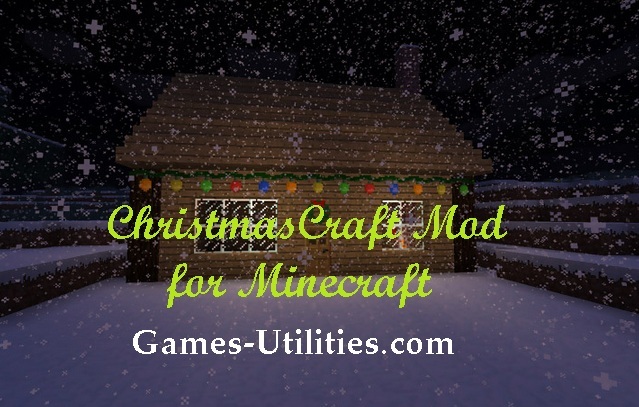 So guys enjoy playing Minecraft ChristmasCraft Mod and don’t miss to comeback here and check the latest updates of your favorite game online here.. If you have any issues while downloading this mod let us know via comment section.. Have fun..